As summer is coming to an end, I will not let any such thing dampen my spirit. When it comes to sizzling summer styles, most of us start thinking latest summer collection, bright beautiful colours. I have to say I tend to choose my colours depending on my mood. I rarely follow trendy colours, I like most colours and depending on my mood I choose what suits me on the day & occasion. I have certain clothes that I have kept for years and still find them good enough to wear. (I am sure many will relate to this even those who like to purchase clothes/accessories to suit every season). Style as we all know is very individual to everyone, for me easy dressing is important so long I feel comfortable. Such is my style chat today on a casual every day summer looks, my casual look that will suit a relaxed day at the office/work. I love bright colours, as I find it only takes a little of colour to brighten your day. Today is all about – Orange is the new black this summer and mixed these two colours together you can’t fail. 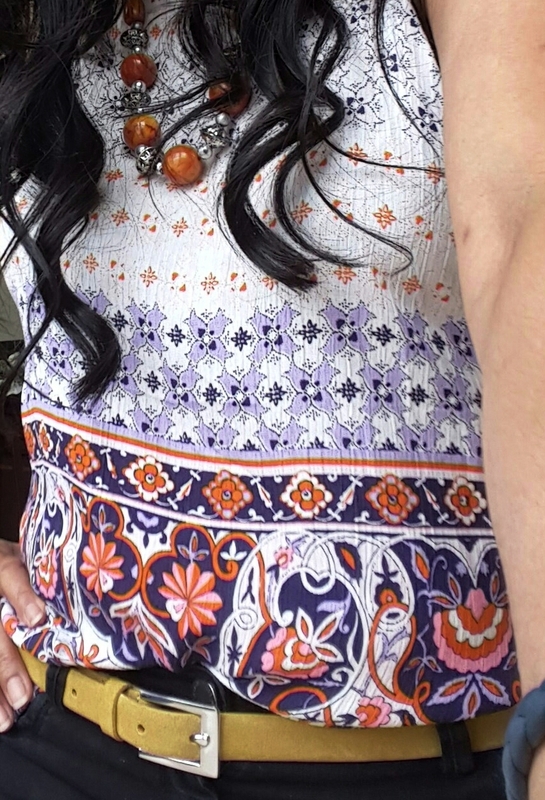 I find with my skin tone the tangerine, orange uplifts my skin and my mood instantly. I can’t wear just plain orange so mixing it with black, blue and a touch or lemon yellow with all these spring/summers colours together I can assure you how insanely this makes a full on crazy but great combination. And this one I rustled up for a cool relaxed day at work and for the weekend. I like to embrace prints, colours and textures in my clothes – I like bright colours as much as I do bold and symmetric colours. Here’s a little outfit I put together over a little shopping trip few weeks ago. I like to amass denims trousers, from black to all the different shades of blues. As we all know denims never go out of fashion, and can be worn almost any seasons and on many occasions. Trousers are very much a building block of my wardrobe from the most expensive ones to the cheapest ones. Mix and match clothes is not always a bad idea, it is possible to look chic still on purchasing clothes that are less expensive, which do not cost more than your budget will allow – but match with something rather eye catching. I do maintain that sometimes it is worth spending on certain things that you know you would wear regularly, it’s a good investment. I teamed my cheap orange top with a pair of black skinny Levis jeans, yellow belt that cost more than the rest of my clothes (but no regrets as I will wear it a lot). Bold accessories to match my outfit again one I have had for two years now. 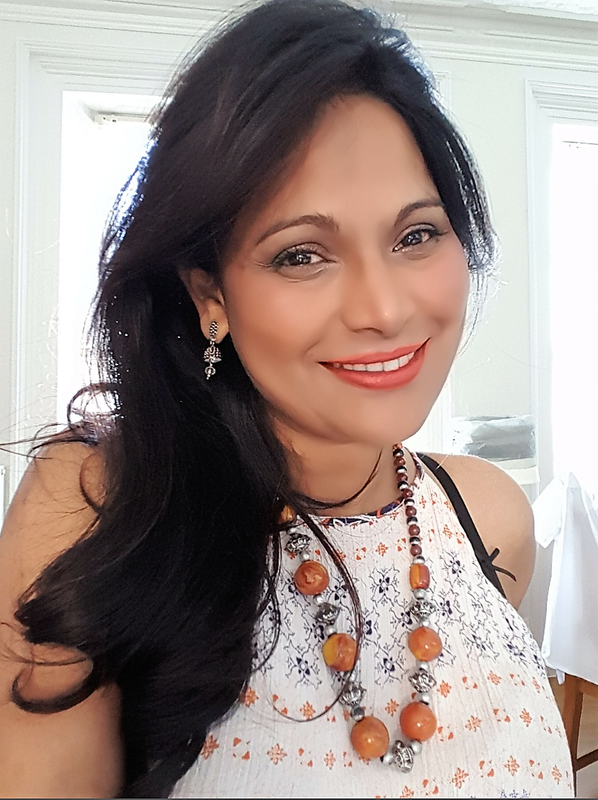 Makeup – subtle and fresh with my favoured Bobbi Brown moisturising balm (medium tint), Mac blusher and Baked eye shadow with a little shine to open up the eyes, making them appear wider and brighter. 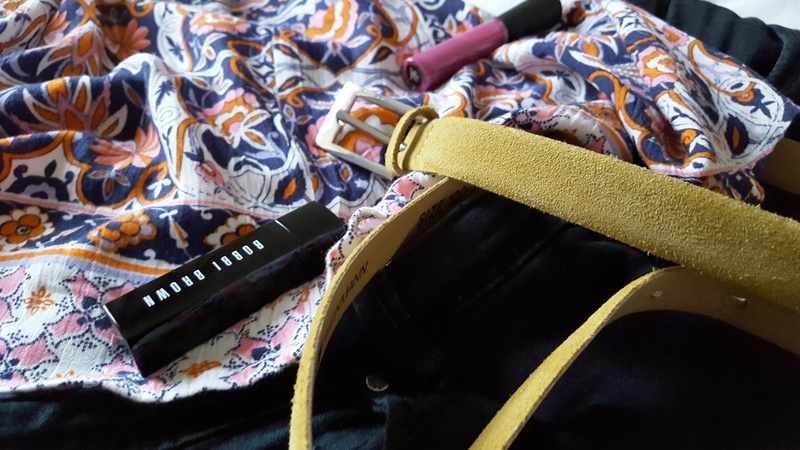 Matte Orange Lipstick Bobbi Brown and a touch of mineralised gloss. 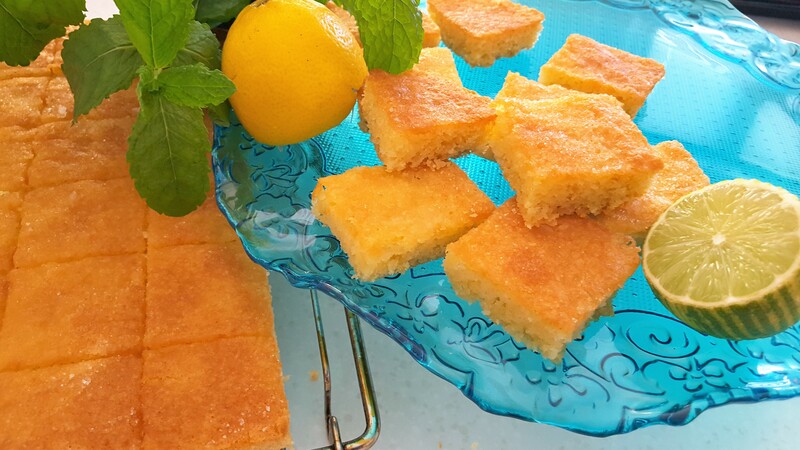 How can I write a post without mentioning food – so to match the bright colours of sunshine, I have for you the well awaited Lemon Drizzle Cake recipe. But I will be cheeky and ask you to jump over and click on the link below to get the full recipe Hope you enjoy as much I enjoy making this simple and irresistible cake…….. Enjoy the feed. A little glimpse of the cake as seen below.